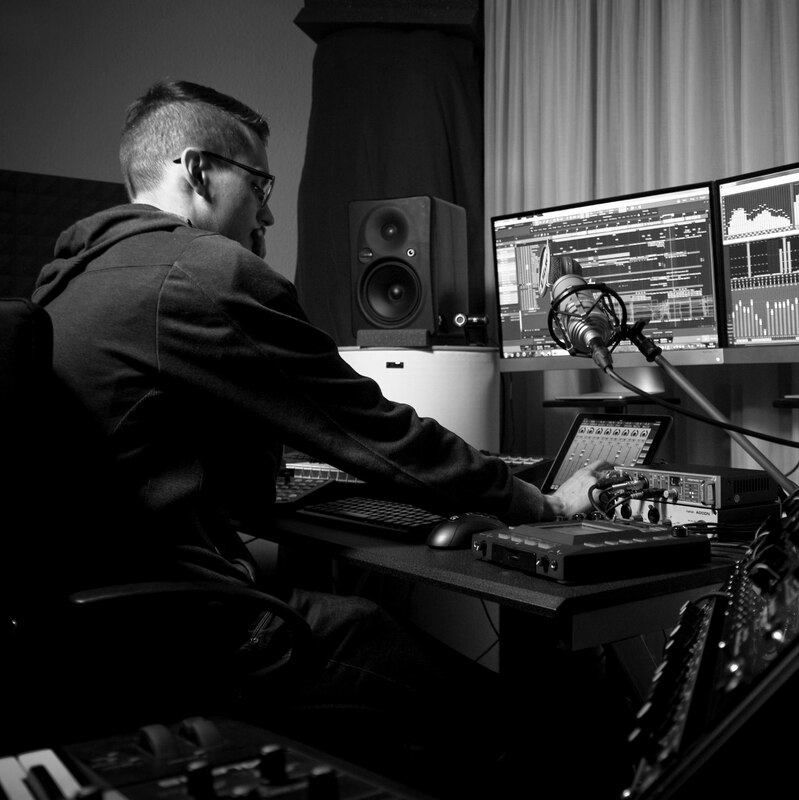 My name is Gregor Beyerle and I’m an audio engineer, music producer and live keyboardist of almost 10 years. During this time I have collaborated with many bands including the top tiers of Dark Electronic music today – L’âme Immortelle, Nachtmahr, Reaper, Modulate, Santa Hates You, and the list goes on. I produce and record music projects of all genres ranging from Minimal Techno to Metal, from Hip Hop to Pop on a daily basis. Why do people even need a producer, or a mix engineer in times where records are mostly made in people’s homes today, and where a computer with some modern sample libraries can basically replace an entire orchestra? Well, from a purely creative standpoint, that might be a very valid question. However, the technical skills required to get a mix done that’s truly as transparent and powerful as what you hear on the radio, the top 10 of Spotify, or at the big festivals haven’t lowered nearly as much. You can have the greatest song idea in the world, and still it would never get released if it doesn’t match, or can’t compete with modern audio standards. You want the world to listen to your art – but the art of music is more closely connected to the art of production than ever before. And that is exactly what Studio Dreamcatcher was built for. It was made to help you with all things technical, so that you can purely concentrate on your music, on being a creative mind. It is the product of nearly 10 years in the art and techniques of arranging, sound design, mixing and mastering, and thousands of Euros have gone into acoustic treatment and fine analogue equipment to create a Studio that truly competes with the best. You do not have to go through the same in order to get a top notch result. Focus on making a sketch of your dream album. Then let Studio Dreamcatcher bring it into reality for you.